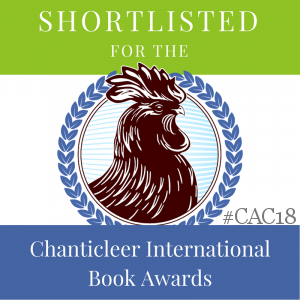 Please welcome author Jan McCanless, whose quirky citizens of Beryl Cove, NC, delight mystery readers with her wild sense of humor. Jan’s talking today about her Royal DNA … British with a Southern flair! I come from a predominately smart family; oh, we have our usual quirky oddball (at least that’s the name they have given me),but otherwise, we have some spectacular DNA coursing through our collective veins. Well, for instance, there I was,sitting at a church breakfast one Easter morning, and as usual, I was bragging about our famous kin, General AP Hill, of confederate fame. You see, the man next to me was a Civil War buff, he even has his own museum, so we were sharing stories of our ancestors. Proud of old Ambrose Powell Hill, I am, and just happened to mention his esteem among his troops and the entire region. David leaned over to me and said, “You know, of course, the man died of syphilis.” I was crestfallen to say the least. He could’ve at least waited on me to finish my meal !!! Then, there is Colonel David Gregg, kin on my mother’s side, with a big statue of him in Gettysburg cemetery. I don’t know any scandal about him, except, well, um – — he fought for the other side. We don’t speak too much of him naturally, and I won’t tell if you don’t. AP and Colonel Gregg are not my only outstanding relatives; there is that Indian woman, Pocahontas. You see, Pocahontas married that English chap, Sir Ralph whatshisname, and, they lived happily ever after in England. Why, they even have a statue of her over there, so revered is she. Anyway, Sir Ralph was a distant cousin of the Queen’s, Victoria, if I’m not mistaken, but, it could have been an earlier monarch, not sure at this point, I’m still getting over the fact that cousin Ambrose died of a social disease. I mean a thing like that can rattle ones cage! Back to Poca baby. She married this English chap, cousin of the Queen’s, and had children by him, and those children eventually led to myself and my brother. Now, bear in mind, my brother isn’t exactly the sort of fellow one would present to the Queen, but, the DNA is there, and should we take up residence in Buckingham palace, (Buck house to those of us in the family) I could always coach him on protocol. He might, just might, look fetching in knee breeches and morning coat. The thing is, we are kin, Elizabeth and us, and I think it only right that we be included in all this royal folderol that occurs quite frequently over there. 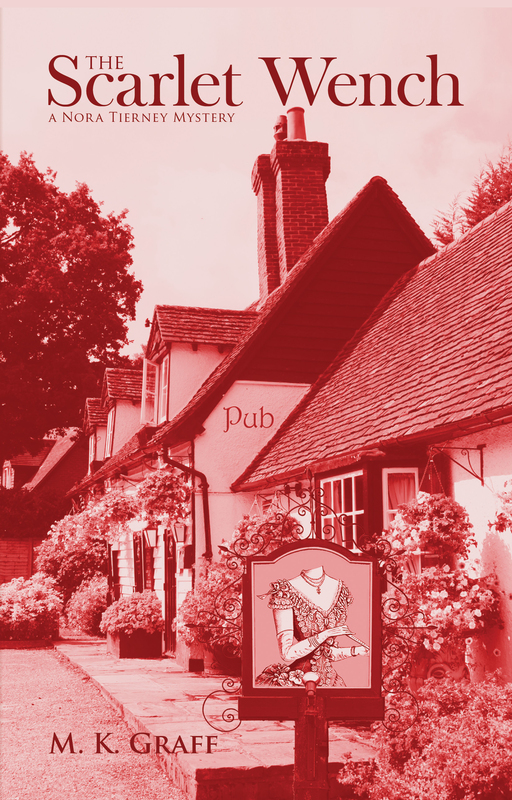 Ascot, the coronations, etc. I have even practiced my Royal wave, it’s sorta like screwing in a light bulb. One has to plaster that fixed half-smile on one’s face when waving to the peons. Don’t get me wrong, I love the British Royal family, kin and all. Elizabeth and Phillip share the same wedding anniversary as the spouse and I — November 20th. Every year I invite Liz and Phil (familiarity amongst family members, you know) to come across the pond and join us in celebration, but so far, they have not accepted. Probably don’t know we are kin yet, but I plan on remedying that forthwith. See, I even talk like British Royalty. I’ve known all my life about our Royal connection, but just haven’t gotten around to taking advantage of it, but this is the year!!! I’ve been led to believe that there are over 200 rooms at Buck house, so I can’t help but think they would not miss a dozen or so of them, so brother and I and our assorted kinfolk can take up residence there. I mean, it’s rightfully ours, too, doncha know. Hm, wonder how brother is going to look in those knee breeches, maybe we should start smaller, a portion of the civil list perhaps? 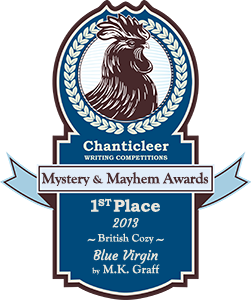 Jan McCanless writes the Beryl’s Cove Mysteries. 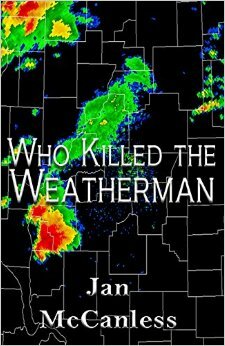 Her newest, Who Killed the Weatherman? is available at Amazon.com. 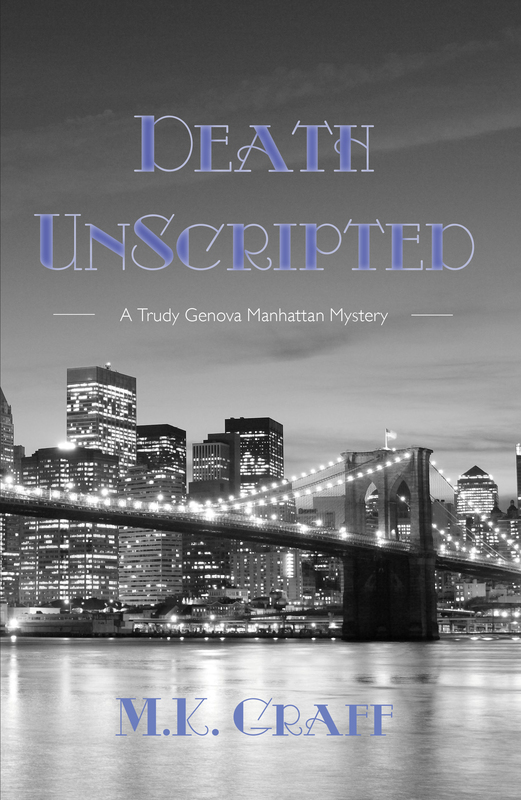 Amateur sleuths Steve and Suzanne Thomas find themselves assisting local police chief, Nathan Sowinski with an automobile accident that turns out to be murder. His car careens out of control right in downtown Beryl’s Cove, and our beach bunch sets out to solve the crime. Their paths soon cross with drug runners, a smarmy lifeguard and an unsympathetic TV station executive. Meanwhile, the residents of the Cove carry on in the midst of personal crises, not the least of which is Steve’s broken leg. One of the more stable Cove marriages appears headed for the rocks, and police chief Sowinski gets news that really rocks his world, turning it upside down. Suddenly, the moon is full, and nothing or nobody is acting quite right. Jan’s a well-known author throughout North Carolina. Her list of publications and awards she has received would fill a good-sized volume by themselves. In addition to the Beryl’s Cove Mystery series and other books, she is a freelance columnist for The Salisbury Post, and a regular contributor to Senior Savvy; The Saturday Evening Post; Sophie Woman’s Magazine; and a multitude of other periodicals.